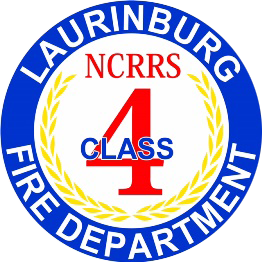 Members of the Laurinburg Fire Department are dedicated to providing the highest quality fire prevention education, protection for lives and property of the citizens of Laurinburg, and professional services during emergencies. The Laurinburg Fire Department employees 7 full-time employees that include the Fire Chief, 2 Fire Lieutenants, 4 Fire Engineers, 10 part-time employees and 24 paid on-call personnel. We have 2 fire stations that are manned 24/7 to provide fire coverage for the City and the outlying district. Our fire district covers 72 square miles with a population of approximately 20,000 people. 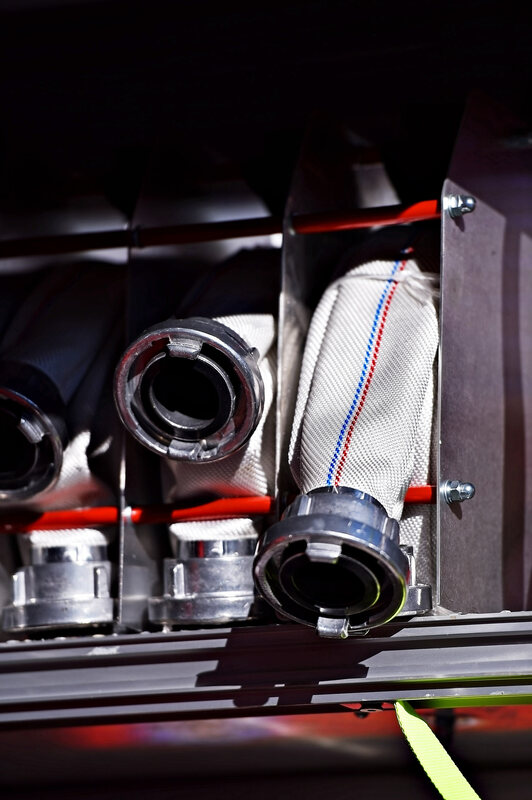 We respond to approximately 750 calls per year with an average of 70 structure fires per year. Other calls include vehicle fires, fire alarms, motor vehicles accidents, and various other service calls. Our paid on-call personnel provide a valuable service to our department. We are currently looking for individuals that are willing to dedicate their service to our organization. If you are interested in being a part of our staff, please contact us. Day care providers may register for quarterly Fire Safety Training from the dates listed below. You may register by email. Please include the names of all staff that are registering, the name of the day care center, and the requested date of training. All training classes will be held at the City of Laurinburg North Fire Station located at 501 North Main Street at 6:30 p.m. Due to limited seating space, you will receive an email confirmation once your registration request has been processed. The City of Laurinburg and Scotland County jointly support a volunteer Rescue Squad which serves everyone in the county. The squad is available 24 hours a day to handle emergency situations. 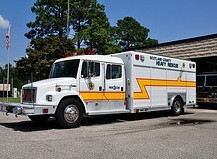 The Rescue Squad has modern up-to-date equipment, and all squad members have been thoroughly trained in rescue and emergency techniques. Animals are an important part of the lives of people, either as pets, or as part of our natural wildlife. Most people consider their dog or cat to be part of the family. This is evident in the amount of money owners are willing to spend on their pets for specialty foods, toys, and trips to the veterinarian. 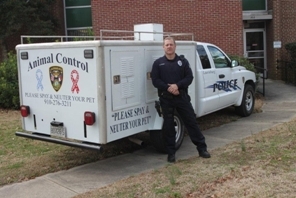 The City of Laurinburg Animal Control Department realizes this and has made part of its mission to help improve the lives of all animals within the City, while at the same time providing protection to citizens. This has been done by passing new ordinances and implementing several different programs whose purpose is to help reduce the overpopulation of our dogs and cats and protecting citizens from dangerous dogs. An ordinance passed in 1997 prohibits the tethering of dogs as the sole means of restraint. This has greatly improved the lives of many of the dogs in the City, and has also reduced the number of dog bites. Another important change in our Animal Control Ordinance was the prohibiting of hunting, killing and trapping of our wildlife except by the animal control officer or duly authorized wildlife agent. By requiring property owners to implement preventive measures to reduce their problems with wildlife, we have accomplished saving the wildlife and solving the problem the most effective way. We have reduced the population of dogs in the City dramatically through aggressive spay and neuter programs offered through the Humane Society and the State managed spay/neuter fund. Also our City license has a $21.00 increase for dogs and cats that have not been sterilized. This difference has encouraged dog and cat owners to sterilize their pets. We still have a feral cat overpopulation, but have aggressively been doing trap-neuter-and release for cats that have caregivers willing to take care of them. This is helping to decrease the number of stray cats we have to pick up and euthanize. We would like to encourage citizens to contact the Animal Control Department for information regarding spaying and neutering either owned pets or feral cats they have been feeding, or for any other problems or concerns they you are having with animals within the City. Please contact the Animal Control Officer David Hardy or call the Police Department at 910-276-3211.